Ladies unite! Hold hands and march over to The Ori one of these days, and enjoy one or more of their delicious massive fishbowl cocktails. Emphasis on massive and delicious. The oriental has a varying selection of fishbowl cocktails, and it is not just hogwash, .they deliver on presentation and most importantly taste. 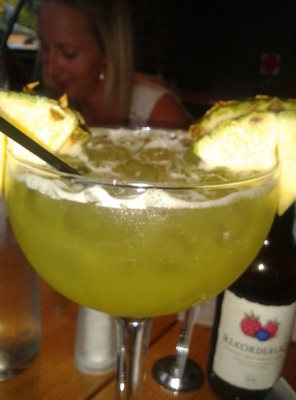 Who needs to eat when you can share a fishbowl sized alcoholic beverage, or better yet, have one by yourself! If you do want a good feed, their food menu is also tantalising, and you will be spoilt for choice with their share options as well as individual meals. They have a spacious section outside or you can sit inside and get a feel of their eclectic vibe. No one will judge you, well ... not if they have tried the cocktails. Stress less, that's this weekend catch up plan sorted. This article almost flows like you have a cocktail in hand now Dorcas.